You must make reservations at least 5 minutes in advance of the time at Gianfranco Ristorante Italiano. Street parking in the front of the restaurant on Railroad Avenue. Private lot in the back of the restaurant. Catering is available for everything from intimate sit-down dinners, to large buffet style parties. 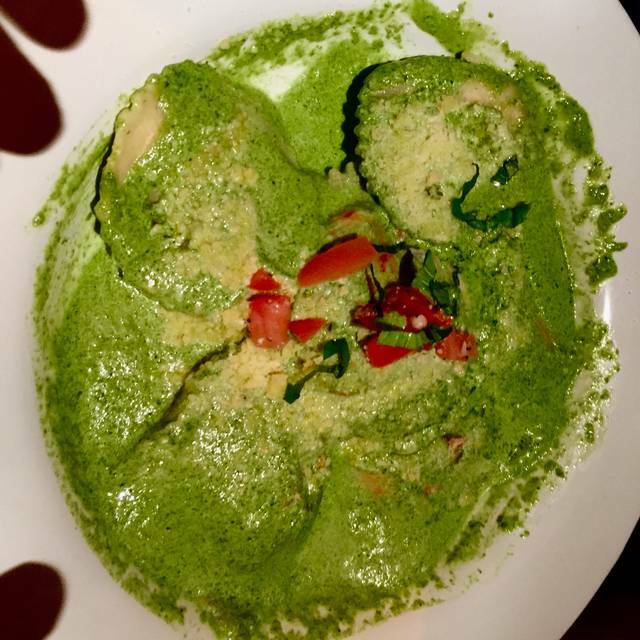 Although Gianfranco Ristorante specializes in Italian, cuisine can be tailored to your preference. Gianfranco Ristorante Italiano is a family owned Italian restaurant, located a mile east of Snoqualmie Falls on Railroad Avenue in Snoqualmie, Washington. 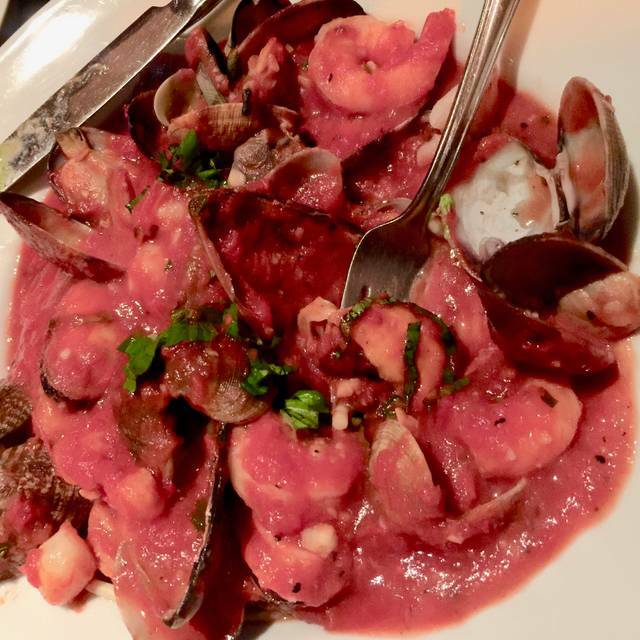 Chef owned and run, Gianfranco Ristorante specializes in Southern Italian cuisine and uses seasonal, local flavors to create delicious meals. In addition, Gianfranco offers gluten free pasta and pizza dough for those with food allergies. Our extensive wine list includes a large selection of Italian wines as well as a variety of domestic selections. Beer and mixed drinks are also available. Brezza Nebbiolo D'alba "Santa Rosalia"
Olim Bauda Barbera D'asti "Nizza"
Allegrini, Palazzo Della Torre "Baby Amarone"
Michele Chiarlo Moscato D'asti "Nivole"
My favorite place to eat. The food is excellent and the owners are friendly and so is the staff. Great food, great value, great service. Will definitely return. Our dinner was excellent - this was our third visit and each time it gets better. Our meals were prepared quickly given the restaurant was busy. Everything was fresh and flavorful. I have the pork shank special and I recommend it highly. One of my companions had the fresh fish of the day and was equally impressed. Great atmosphere and food. Very nice place for a quiet date night. This was our first visit to this restaurant, which was recommended by friends. The three of us all ordered pasta dishes and shared a bruschetta appetizer. The bruschetta was fabulous and the pasta dishes even better. My wife and I both had the gnocchi with langostino, which was without a doubt the best either of us had ever eaten! I might recommend sharing this entree because it is quite rich and the portions of the pasta dishes very generous. This is a small, quaint restaurant that was quiet even with a full house. I suggest making reservations. We will definitely be returning to this restaurant and trying new entrees! Best Italian food in Washington hands down. I love this place so much. Some minor non-food related short comings but as far as the food goes Gianfranco is excellent. That was consensus among our group of 6 experienced diners. I am looking forward to going back. It was our first time here and our evening was outstanding. This restaurant is now one of our top favorites. Just a gem of a place - excellent food, service and the owners are such warm, beautiful people. What a wonderful dining experience! We had our 5 year wedding anniversary dinner here. We could not of had a better experience. The service, the food and the atmosphere were perfect! Definitely going back!! 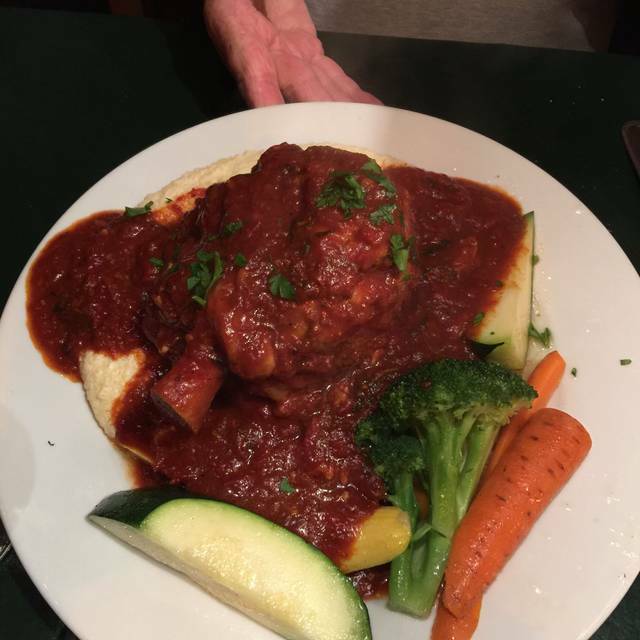 Gianfranco Ristorante is one of the culinary treasures of the Snoqualmie Valley. The quality has never wavered through ownership changes. It's a wonderful place for a romantic dinner, casual meal, or an event celebration. Looking forward to many more great meal memories! The food and service were excellent, quiet enough for good dinner conversation. We always love this place. It’s not just the gorgeous food, but the friendliness of the staff and the intimacy of the whole experience. We picked our favorite restaurant for our Valentine’s Day dinner. Gianfranco’s never disappoints. The food was excellent as always, the service attentive, and the entire experience was exactly what we’ve come to expect. Although the food is a little pricey, it is well worth it for an exceptional date with you Valentine - even if you’ve been married for more than 40 years. One of my favorite places; and they can do true gluten free. I find this little place quite charming and romantic! Good food and friendly, attentive staff. we had a wonderful time. will be back soon. Loved the ambience. the only problem for us is that its a 40 minute drive. This is a family favorite! Wonderful food & friendly staff. We found this restaurant online and decided to give it a try. My wife is Italian so she know authentic Italian food and this place live up to expectations. A romantic spot with delicious food and warm inviting atmosphere. You can tell this restaurant is run with love. I have never been disappointed at Gianfranco. The food is a little pricey, but so worth it to always have excellent food perfectly prepared. Definitely my go-to Italian restaurant! We love Gianfranco. They make you feel like you are part of the family when you dine there. Excellent food, atmosphere, and the small establishment makes for excellent memories! We absolutely love it here! 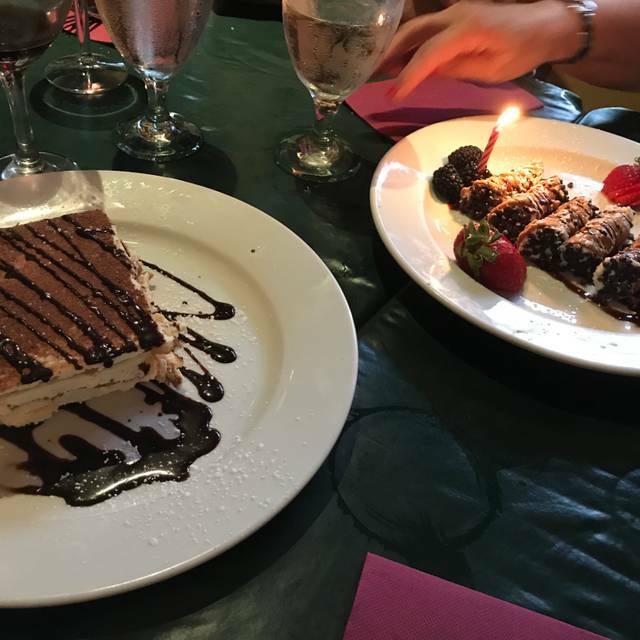 Our special occasion go-to and whenever friends visit, we insist on taking them to our favorite Italian restaurant! The service is the best around, the portions are huge, the food is always excellent...every meal here has been a real treat!!! Last day of the year. 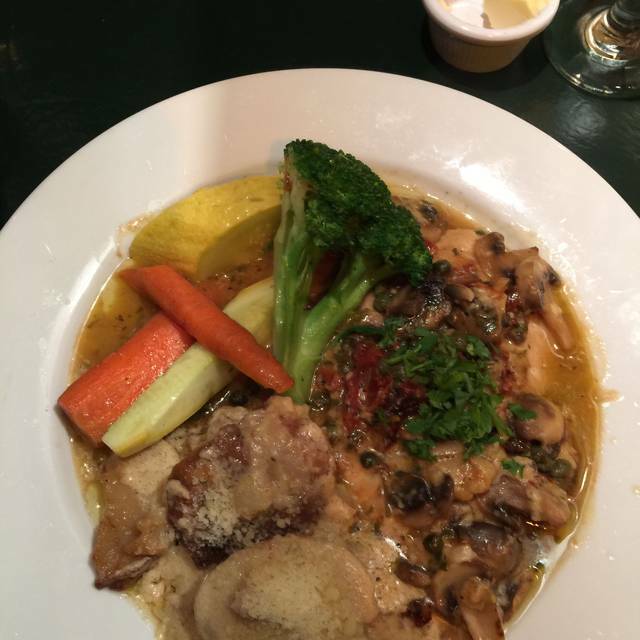 Gianfranco’s never disappoints, it’s always deliciously awesome and warm. This was the second time I have gone to Gianfranco on New Year's eve. Nice spot in quiet Snoqualmie away from the crowds of the city. The food is good but not great, the pizza was marginal and the selection poor. The food portions are huge, way too much to eat so you will have a take out. I do not see that as a plus. Prices are typical for this kind of restaurant - $100 for two people including a bottle of wine. Will I go back again? Probably not. *Everything* we ordered was delicious... from the delectable calamari appetizer... right on thru to the tremendous tiramisu! Delicious food, good variety and quality, feels authentic. Family owned and operated, cozy but a bit loud when full of enthused diners. Still had cheery feel despite noise. We've been dining here for years, quality reliable and consistent, always good. Kitchen is flexible for special requests and vegetarians. Nice wine list, location and parking easy. Tiramisu served in huge portions, nice but needed more booze. Servers do not rush diners, even when they stay too long (so sorry). Overall, very good, highly recommended. Wonderful food, quaint atmosphere, nice people! Great food, generous portions, accommodating menu items, pleasant staff, very nice experience all around. I always so surprised about how great this restaurant is. The portions are great, the food is amazing, service if phenomenal. Truly a gem in Snoqualmie. For those who are gluten free, there are definite options. One of very favorite places. So accommodating for your dietary needs. The owner/staff make you feel right at home! Great couple's special on Monday thru Wednesday. Great food and service. We had a fun dinner with excellent service and food. But you have to have a reservation to get in the restaurant. Walking-in is difficult to get a table. They are exceeding friendly and accomodating as far and altering the menu to meet your wants or needs. Pus, the waitresses are very untuned to why you are there and offered a FREE FULL SIZE DESSERT of your choice on your birthday! Challenging that their tables that accommodate more than 4 people are right inside the front door which makes you feel crowded and chilly (when people come and go) There is only room for two people to comfortably hang-out and wait to be seated and on a chilly night the wind can really rip through the valley. Also the light above the waiters prep station at the front of the restaurant shone through the glass cabinet into my eyes the whole night. They really could use a larger vestibule and dinning area. Bu this is worth it for the quality of the food and friendliness of the staff! Fabulouso!! Great family owned, neighborhood restaurant, intimate and special. Unobtrusive and expert service. Quality Italian food. Will definitely return. Reservations recommended! Been coming here for years and it never disappoints. Love the staff. Excellent food. Greatest service! Thank you! We love this wonderful place!